enjoy a drink with ponies, donkeys and even pigs! 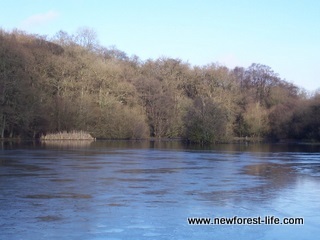 Pubs in the New Forest can often offer so much more than just a pint and a meal. At most of these pubs you will find delicious, often locally produced food. 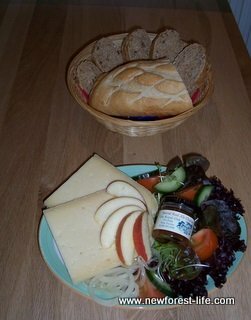 This tasty food may be award winningcheeses, meats, fruits or vegetables. They are all doing their best to support local growers and producers. Can you imagine sitting outside on a sunny day looking at New Forest ponies, donkeys and even cows, they'll be enjoying their grass whilst you enjoy your pub lunch or dinner. 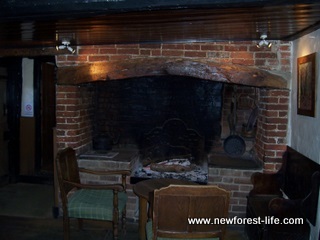 At some of the pubs I'll recommend you may even see... New Forest pigs! 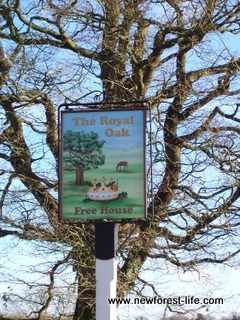 The first pub I really like to visit is The Royal Oak at Fritham. We usually turn up on foot, but, I think this is really great - you can arrive on horseback and tether up in a small enclosure. A friend of mine did this a few weeks ago. Your horse can have a drink (water I hope!). If it's a cool day, you may even be able to borrow a rug. Your horse can be safely off the track in the paddock, and you can have a lovely Ploughmans salad with a Case of Wiltshire's English gammon - I love this gammon it really is good quality food. If you are cycling to the Royal Oak you can just have a coffee or tea if you don't fancy cycling on a full tummy - but when you see the food I think you'll change your mind. Pauline and Neil McCulloch run the Royal Oak at Fritham. rated one of the top 5 butchers in the country. are available subject to the tides and the fisherman's hangover! A couple of years ago we were cycling along a great cycling track from Frogham. We got to the Royal Oak and my chain broke! After a lovely meal and a pint we saw there was no way to mend the chain, and so my husband towed me back by me holding on to his jacket. I got a bit bored and my right hand was getting a bit stiff and so on the last mile along the Hampton Ridge I decided to go "aerodynamic". He didn't realise this and the next thing I knew I'd hit a large stone on the track and gone over the handlebars! I thought I'd broken my collarbone and probably was only saved by the thickness of my padded jacket - what a twit. I was in agony for weeks after and wont do that again.